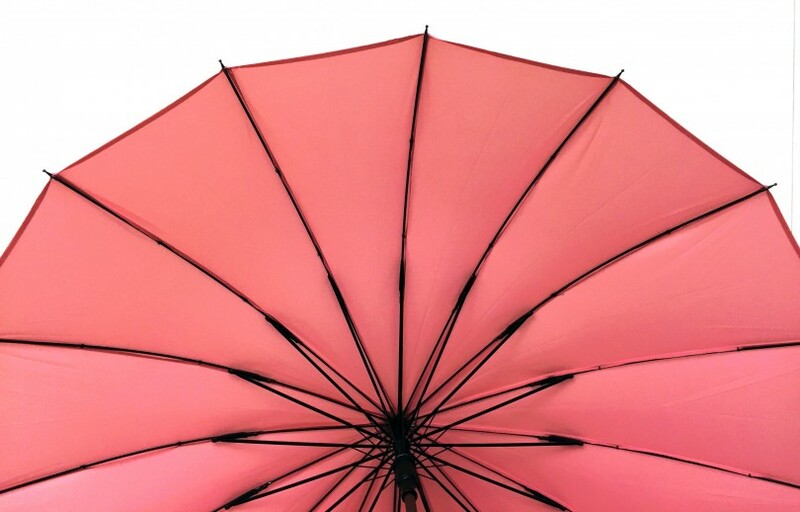 There is no shortage of stylish umbrellas on the market; many designers, such as Burberry, Kate Spade, and Marc Jacobs, have successfully launched products in this niche industry. However, many potential consumers are dissuaded by their penchant for losing umbrellas, and thus can’t seem to justify the hefty price tag. 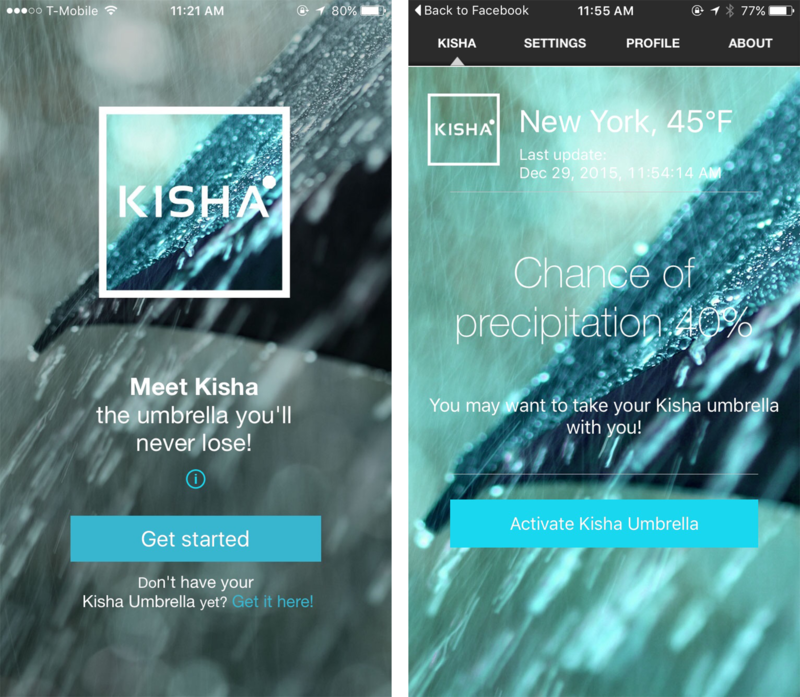 Enter Kisha, a high-end umbrella company that aims to make misplaced umbrellas a problem of the past. Kisha created an app that syncs with your umbrella by creating a connection between your smartphone and a sensor located on the product. 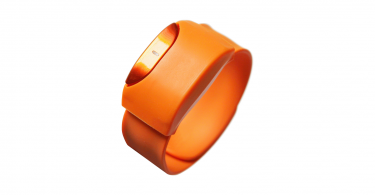 If the connection is lost, a notification comes through to your smartphone alerting you to the issue, thus guaranteeing the umbrella is never left behind. Users are able to program “safe locations” (i.e. home, office, or car), ensuring that you aren’t bombarded with false alarms. As if the app isn’t useful enough, it monitors the local weather and will advise you in the morning if you should plan on taking your umbrella that day. 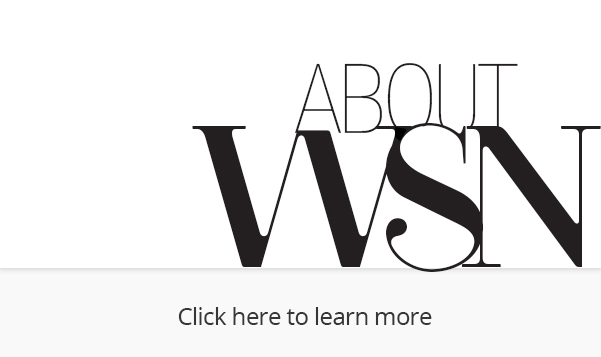 We can think of many times that this feature would have been useful (like, last week). 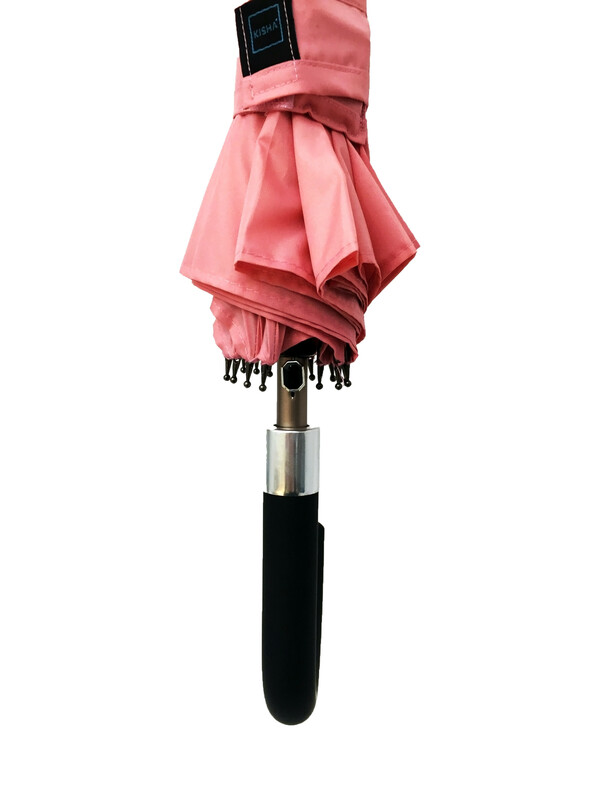 Our editors were able to get their hands on a Kisha umbrella, and were impressed with its obvious durability. The base is comprised of 16 polyurethane ribs (trust us, these are heavy duty), and the handle is sturdy, yet lightweight. In addition to the canopy’s high-quality stitching, the Kisha is 100% windproof and corrosion-proof. 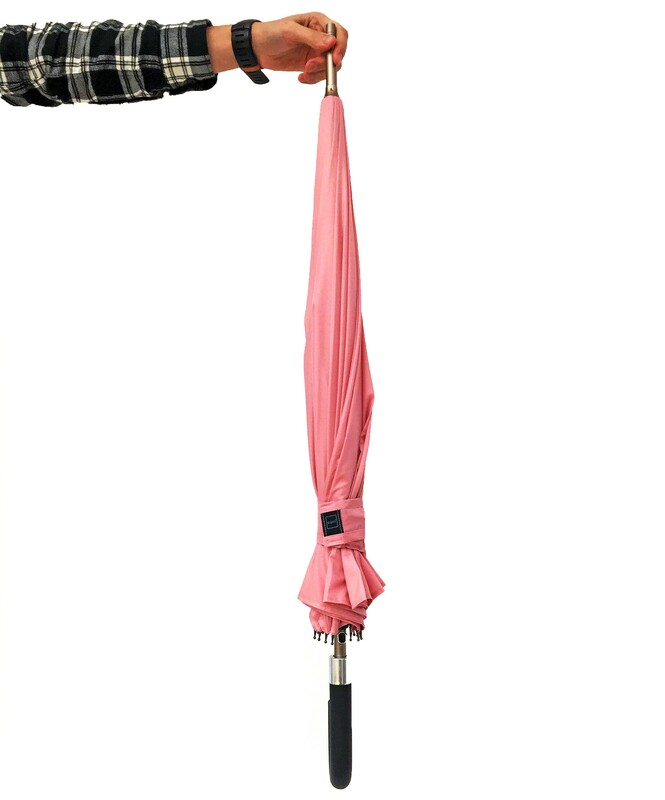 The umbrella we tested out was a pale pink, however there are a plethora of design options on Kisha’s website. From classic black to tribal patterned, there’s a fit for everyone’s tastes. For customers that err on the adventurous side, Kisha offers two optical illusion designs that are sure to stand out in a crowd. 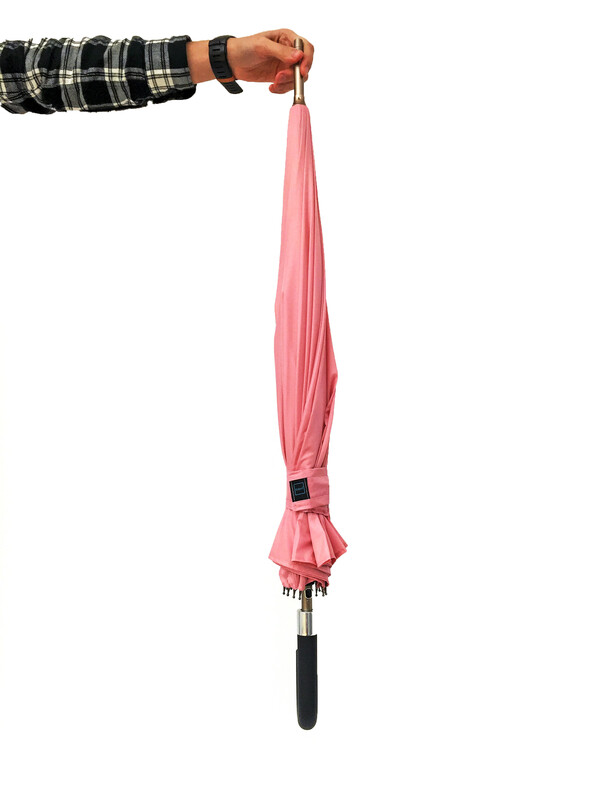 While the Kisha umbrellas are not cheap (they range from $79.95 – $159.90), the high-quality manufacturing and foolproof tracking system make this a product we recommend investing in. 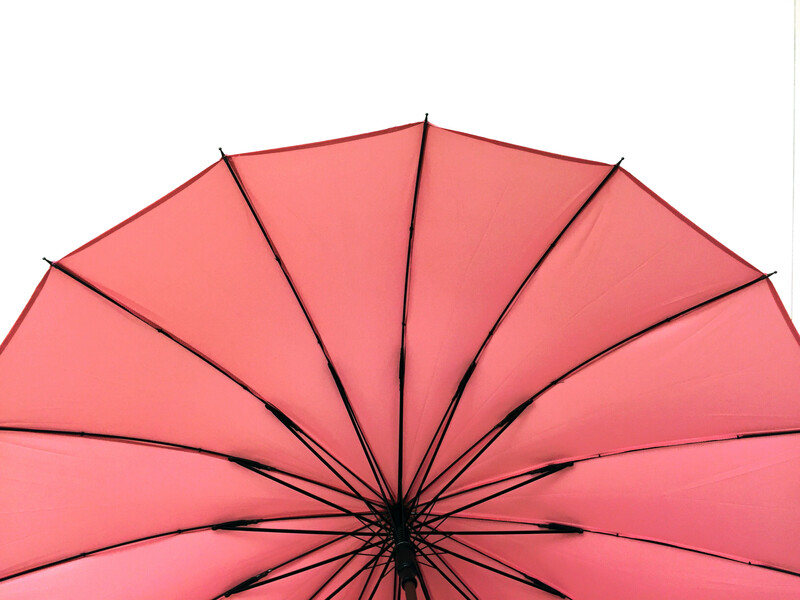 Plus, each umbrella comes with a 3-year warranty that covers the mechanical parts and stitches, as well as a 1-year warranty on the chip. To learn more, visit Kisha’s website here.